Gratitude to God should be part of us just like the air we breathe. It should not be something to ask before doing, we are created to worship God him. But sometimes challenges of life, sorrows, murmuring have taken that place of gratitude in our heart. What a world we live in. but no matter what we are more than conqueror and grateful for our redeemer liveth. Chinco bee our Blog secretary nominated me for this gratitude challenge and I admire her boldness. 1. I am grateful for the gift of life for you, me, my family and for our souls salvation. 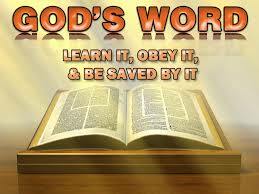 (Please if you have not given your life to Jesus please repent, don’t take the Grace of God in vain). 2. I am grateful for God is not a man that he can lie neither a son of man that he can repent, his promises are yea and amen. 3. For safe delivery for the pregnant women, I am grateful and for the Grace of God upon my life to Minister God’s word with Power, for soul winning, deliverance, and victory over the power of darkness am grateful. 5. 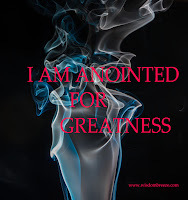 For all the great and wonderful things, His miracle, breakthroughs, restoration, testimonies he will give to you in this blog as you read, meditate and believe in him, I am grateful. You have 72 hours to accept the challenge when you are nominated. Display a picture of gratitude. A picture of something simple that makes (or made) you smile in a day. It is not an opportunity to show off how rich you are. Let it be something that is simple (and inexpensive) yet a blessing. Catch my drift? OK. Nominate 5 other people in your circle. Ensure that you inform them immediately. I feel it's such an honor to be nominated for this challenge. What do I owe God but gratitude. All glory to HIM who made me. Lucy thanks a lot. No dear, let's thank God together. Alright? Amen and amen, my Humble Secretary! An attitude of gratitude determines your altitude. When we keep reflecting and thanking, life is better. Great challenge! you can say that again Precious Nkeih. Good to have you here! how are you doing? Yea Glowy shoe, God created us and for his pleasure we are and were created. I am grateful for the gift of life. Thank you Jesus. wow! guess who we have here......we welcome you, thanks for stopping by, we hope to see more of you. This is really an honour, I accept the challenge and would abide the rules. Thanks a lot and God bless. *smiles* God bless you too!!! O yes what a Mighty God we serve!